When Phil Karlton noted in the late 90’s that cache invalidation was a hard problem in computer science, he likely didn’t have service workers in mind! Caching is hard. It is one of the biggest pain points in web development that we at Netlify aim to ease by automatically taking on that responsibility for you. Service Workers put unprecedented control into the hands of developers, enabling all sorts of offline-first and performance benefits. But they can also put the responsibility of managing caches back into the hands of the developer. And they can be rather complex. So much so that one of Netlify’s top support ticket causes is service workers! 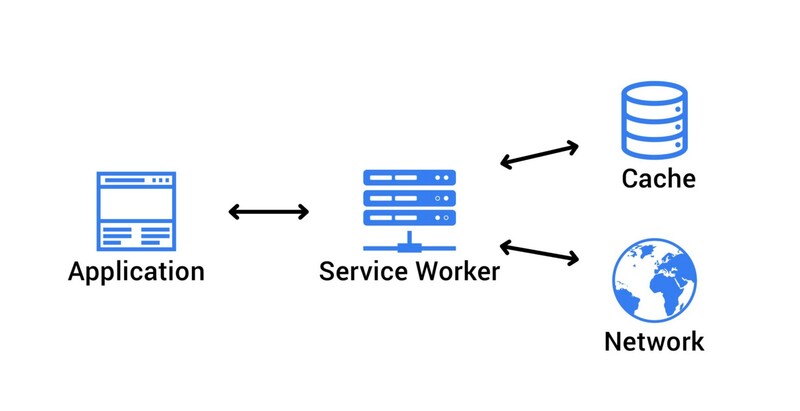 A service worker sits “between” your app and the web, managing a cache of data and resources offline, giving your app the “progressive” user experience no matter how bad your connection is. Service workers actually manage their caches fine. The problem comes when browsers try to cache the service workers. Then all hell breaks loose, especially since the developer can’t see the service worker unless they go looking for it. This tells your browser to always check the server for updated versions of your service worker file instead of waiting for the default expiry time (usually 24 hours). Now your service workers will at least be up to date whenever they themselves try to make requests! We aren’t sure about other browsers supporting this API at this time. In light of all this confusion, we have decided to anoint Sept 21 as International Service Worker Caching Awareness Day! Did you know you were caching service workers? Do you have better ways of dealing with service worker expiry than what we have described? What other trip-ups have you experienced? Hit us up on the Netlify Twitter and we’ll RT your tips and war stories! P.S. we also recommend this Rich Harris gist on other handy Service Worker gotchas!